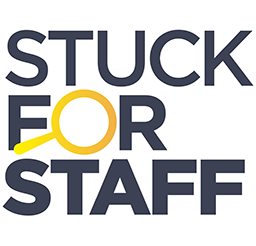 ALL GUIDES are free to StuckForStaff members to read online anytime. The guides below provide you with the information required to make it in industries which you may have little or no experience in. Whether you are simply looking to break into something new in your spare time or are seeking a complete change of direction these guides will help. Each guide provides a comprehensive look at various industries from Promotions and Field Marketing to Mystery Shopping. Using information and years of experience from Industry professionals they are delivered in an easy to understand format which will give you all the information you need to move forward. Work at Festivals and Exhibitions; Give away samples of the latest consumables; Demonstrate the latest products; Merchandising leading stores around the UK... If you are interested in Promotions and Field Marketing and want to know how to get involved then this guide can help. Fancy eating out for free? Going to the movies for free? Even staying at a hotel for free? Mystery Shopping allows you to do this and much more in exchange for your opinions. This guide provides an insight into Mystery Shopping - what to expect, what you need to know and who to contact to get work. Guide to Photography - getting photographed? Getting a good photo of yourself, whether to use in Promotions or Modelling is extremely important? Whether you choose to do it yourself or go to a professional this guide helps you understand all that is involved – from what clothes to wear, what to do and what not to do, and if seeking a professional, what you should know. This guide even includes a list of recommended Photographers from across the UK. Once purchased each guide can be viewed online and printed within 72 hours allowing you to refer to it as many times as you like within that period. To access the guide, login and select the relevant guide from this page.